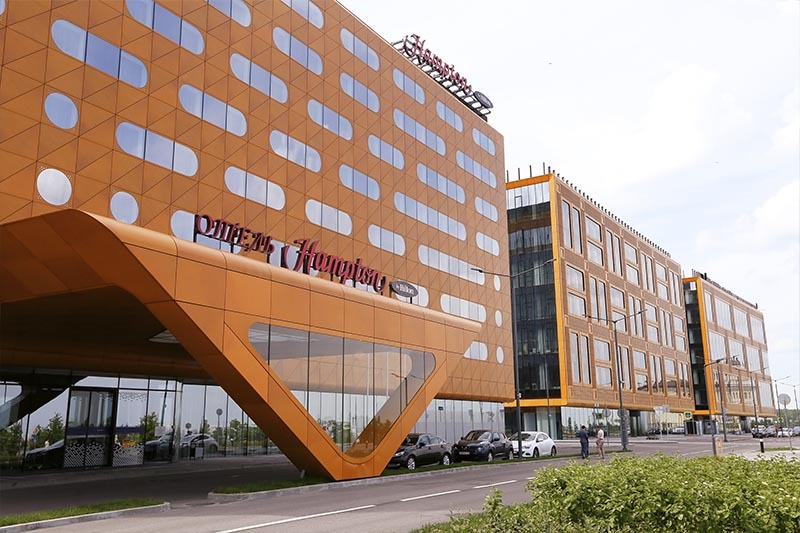 The concept and architectural design of the complex were developed by a consortium of the leading architectural firms Gerasimov & Partners, NPS Tchoban Voss, Tchoban & Partners and Proektservis LLC. 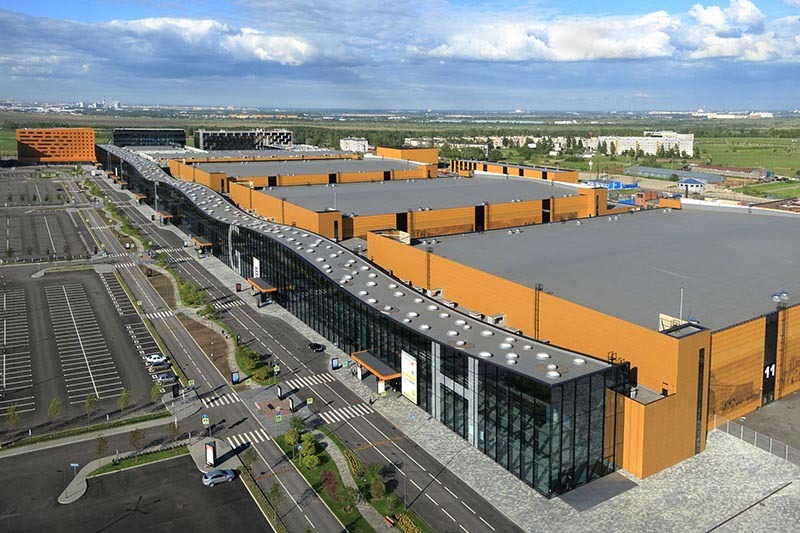 The joint efforts of designers and builders made it possible to create not only a multipurpose complex bringing together the combined experience of the largest European and Asian convention centres, but also a unique work of architecture capable of vying for the title of symbol of St. Petersburg. cafes, restaurants and other such infrastructural amenities. The Super E symbol in the logo for the convention-and-exhibition centre repeats the architecture of the complex itself: three exhibition pavilions and a convention centre form the four parallel elements of the Super E, joined by a passageway. EXPOFORUM has been built in full compliance with the standards of the Global Association of the Exhibition Industry (UFI). Experience momentum – that’s EXPOFORUM’s slogan, conveying the idea of realizing the potential of all participants on the convention-and-exhibition market: growing the business of organisers and exhibitors, giving local residents the opportunity to attend business and entertainment events, developing business tourism, and helping the Northern Capital capture a sizeable share of the global meetings market. 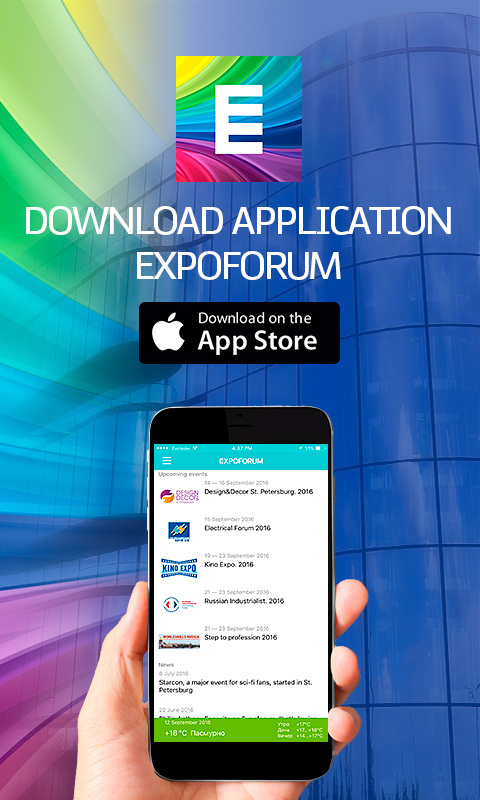 EXPOFORUM is the best convention and exhibition venue in the World. 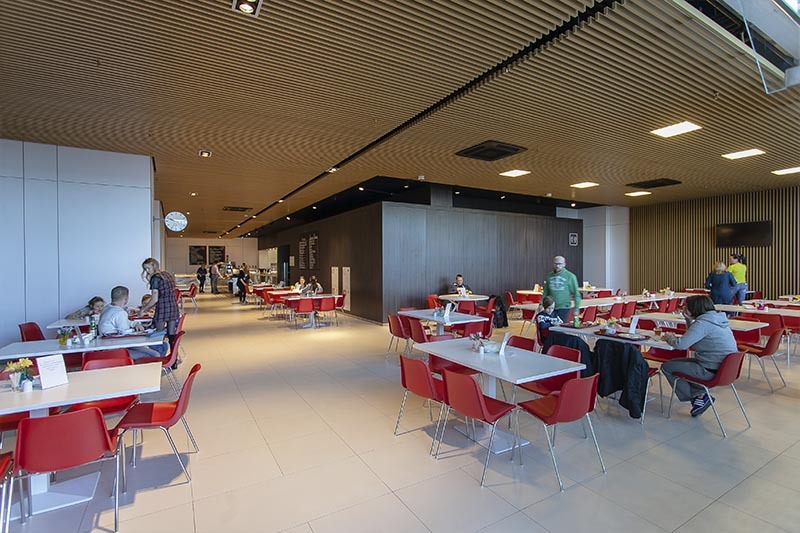 One of the complex’s strengths is its multifunctionality and transformability. 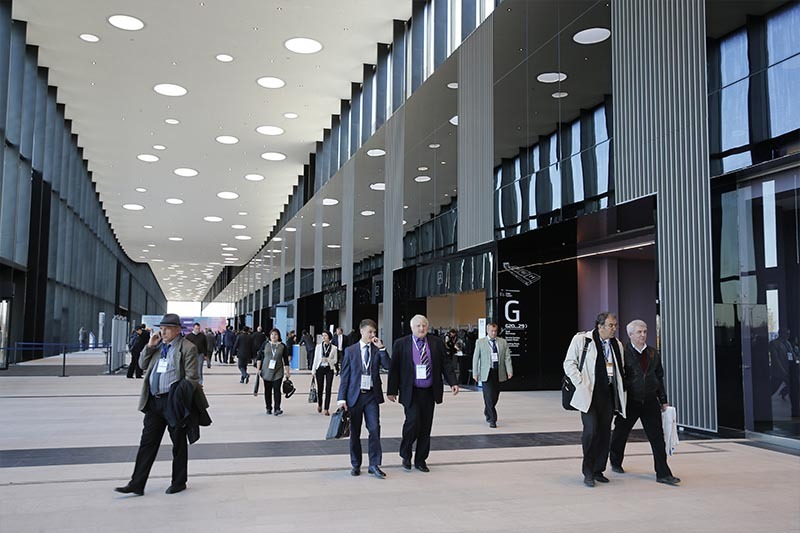 The passageway connecting all of the EXPOFORUM buildings lets visitors feel comfortable in any weather. 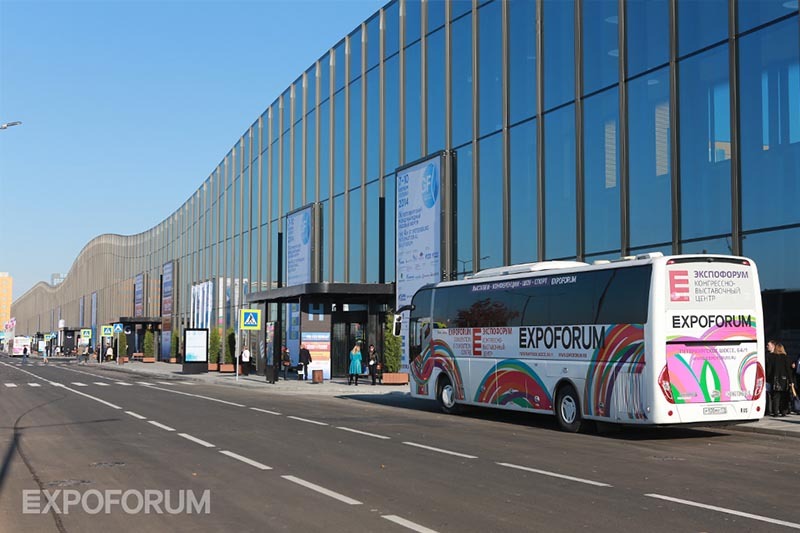 EXPOFORUM is situated near Pulkovo International Airport, at the intersection of two main transportation arteries. Total area of the complex – 56 ha. The column-free space of three pavilions (spanning 13,114 sq. metres each) ensures maximum utilisation of the exhibition space. 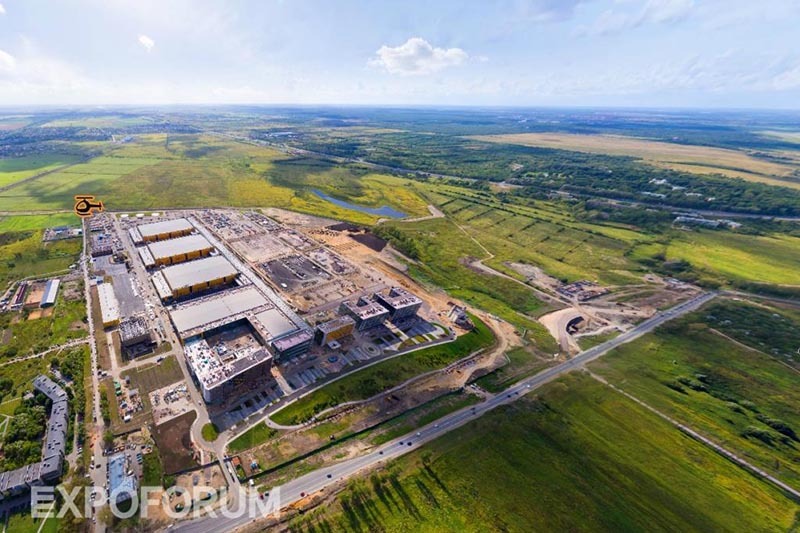 It’s a one-of-a-kind structure for St. Petersburg: 90-metre spans are supported on just two bearing points. The high number of flexible gates makes it possible to get oversized equipment and exhibits into the pavilions. The floor of the pavilions is set at ground level, and its reinforced construction makes it possible to display large and heavy exhibits. The false floor makes it possible to run engineering utilities to any point of the hall (water, electricity, low-power networks, Internet). 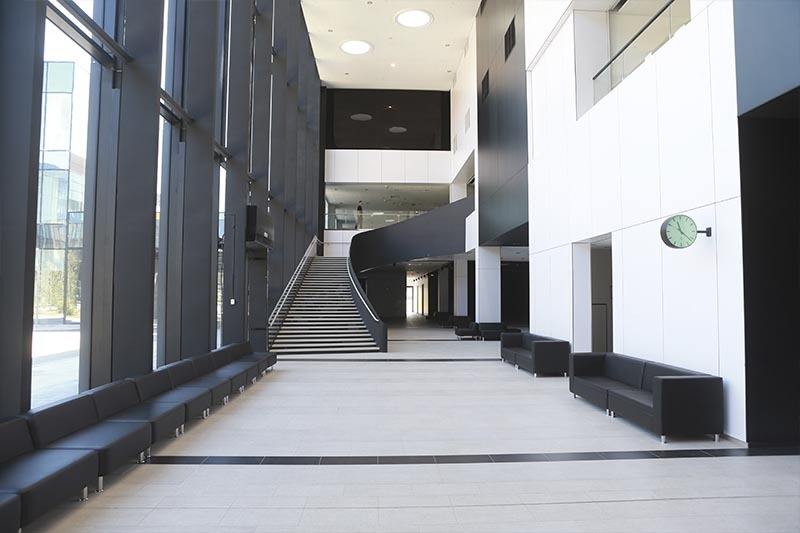 In the exhibition pavilions, engineering channels have been laid every 3 m.
The ceiling height of the pavilions ranges from 11 to 18 m, and in one of the halls of the convention centre – it’s adjustable. 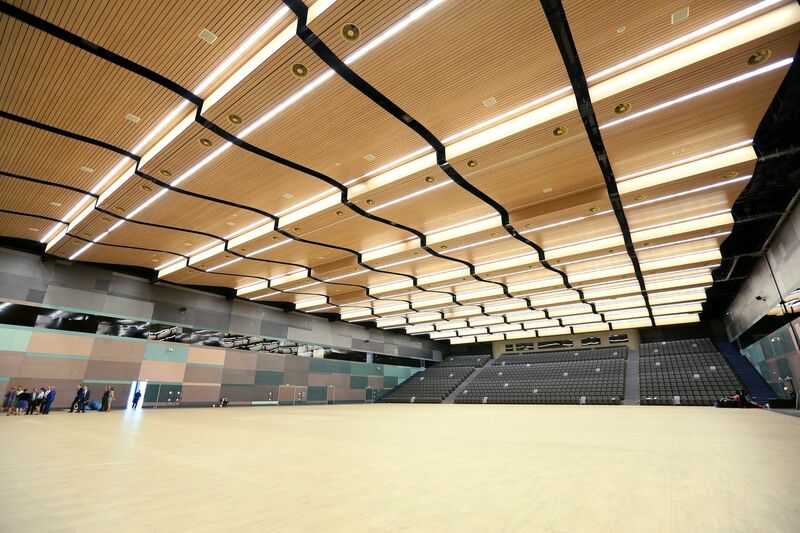 The mobile sound-deadening partitions make it possible to change the configuration of the conference halls, thereby increasing or decreasing the space and number of seating areas, forming utility corridors, exhibition, buffet and banquet zones. 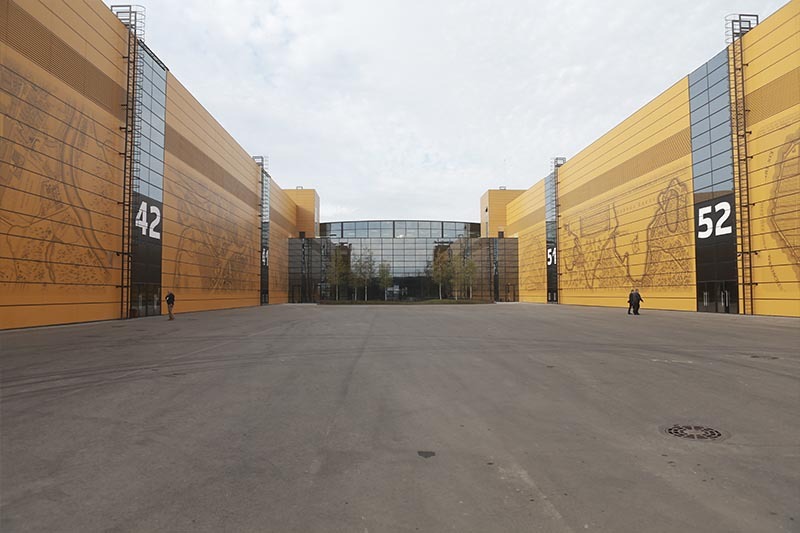 The highest-capacity hall in the conference centre can also be used as a movie theatre: it includes a 1,121-seat amphitheatre and a universal wide-format 24x10-m screen – one of the biggest in St. Petersburg. Varying advertising opportunities at the venue – stationary and mobile structures, video ads on monitors, audio announcements. Exclusive and standard buildout of exhibition stands and halls. 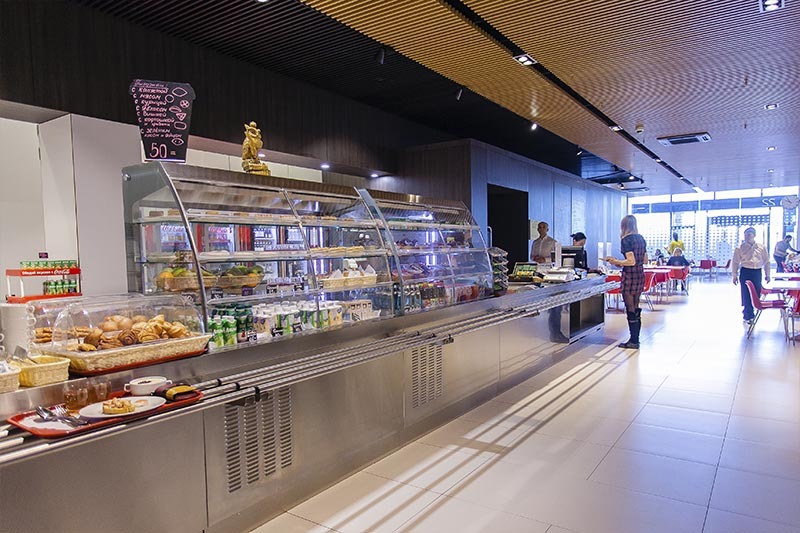 Catering – banquets for up to 2,000 people, buffets for up to 6,000 guests. Free shuttle service from local metro stations and accredited taxi service. Online ticket sales via the platform website, mobile app, social media. In 2016, the volume of online ticket sales grew by 360%. Mobile app with event news, telegram-bot for the convenience of the press. Well thought-out bilingual navigation system, including coloured zoning. 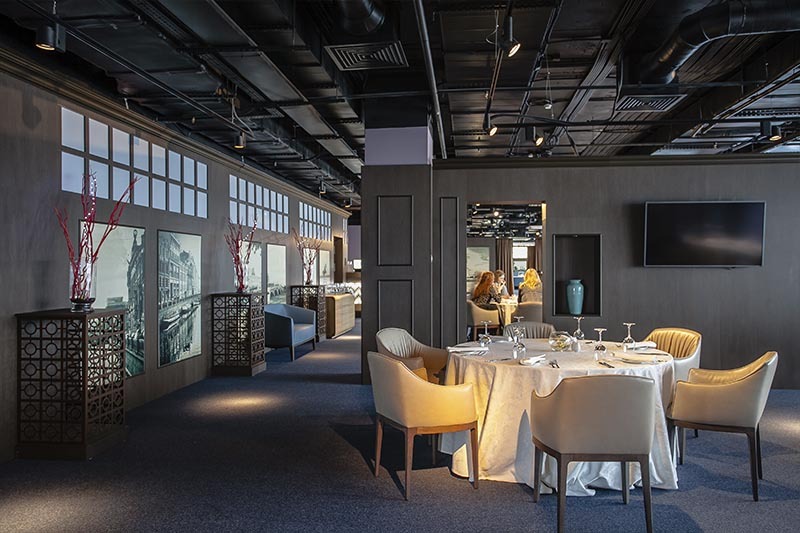 Business networking centre – a service for holding personal meetings between customers and suppliers at venue exhibitions. In 2016, the centre’s buyers programmes saw the participation of 440 corporate buyers and holding of over 11,000 negotiations. Business hours: from 09:00 to 18:00 on weekdays, weekends and event days. 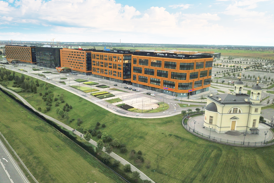 The grounds of the complex also feature the restored Church of the Smolensk Mother of God, fragments of whose foundation were unearthed during planning for the construction of EXPOFORUM. 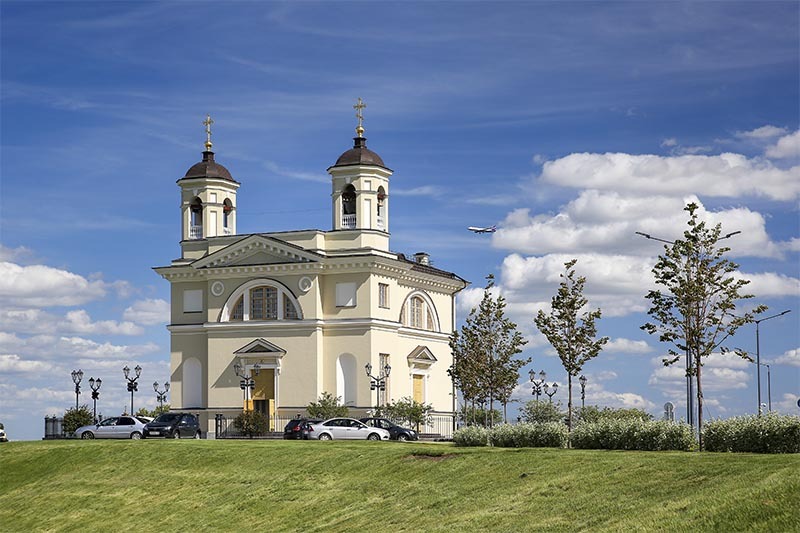 The church with two bell towers (a rarity in Russian architectural design), built in the 18th century by Giacomo Quarenghi and lost during the war, has been restored according to the architect’s surviving sketches and drawings. In 2011, a time capsule was buried in the church’s foundation, containing a message for future generations. 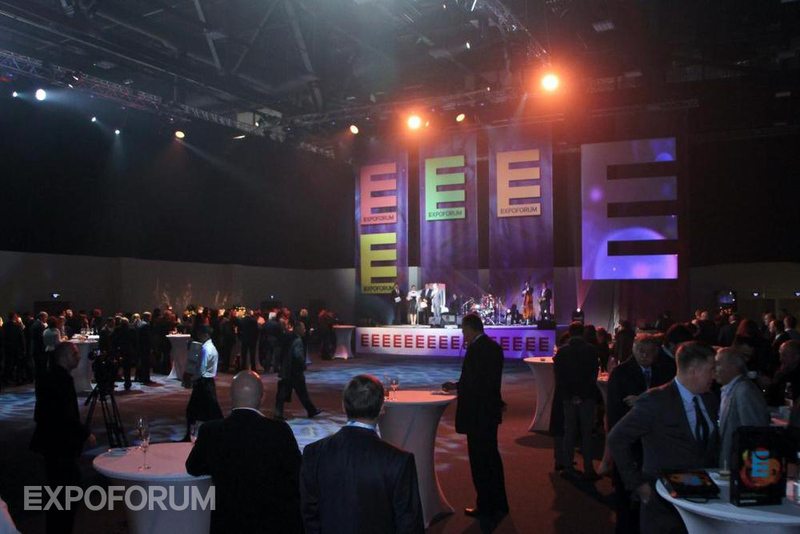 The venue is operated by ExpoForum International. 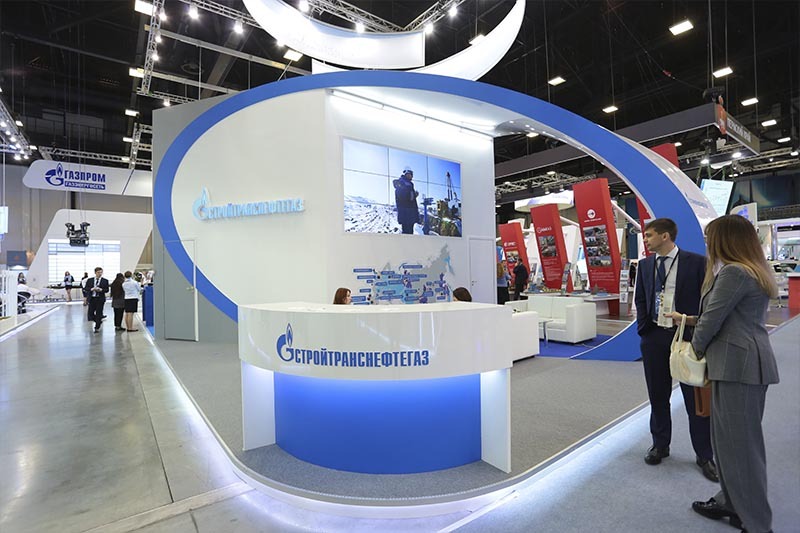 ExpoForum International also offers tourist services – individual and group sightseeing tours of St. Petersburg and its environs, cruises of the rivers and canals, guide-interpreter services, visits to museums and palaces.